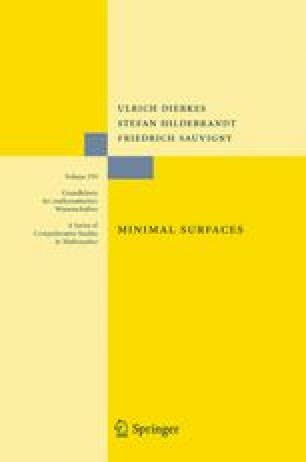 The principal topic in this chapter is the study of stable minimal surfaces and of stable surfaces of prescribed mean curvature (H-surfaces). In this context it is important to investigate the Gauss map of such a map and its relation to stability. One is led to Bernstein-type results, to Nitsche’s uniqueness theorem, and to the finiteness of the number of minimizers proved by F. Tomi. Furthermore, the above results will enable us in Chapter 7 to solve the nonparametric equation of prescribed mean curvature via the solution of Plateau’s problem for parametric surfaces of prescribed mean curvature. Using and extending the ideas presented in Chapter 4, this more general Plateau problem for H-surfaces will be solved in Vol. 2, Chapter 4.